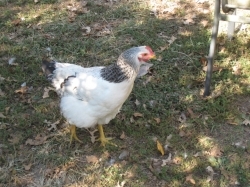 I have been raising chickens for several years now and I really enjoy having them running around my yard. Some of mine are very friendly and they run out to greet me when I enter the back yard. Many of them will follow me around begging me for food and they will eat out of my hand. I mostly keep them around for their eggs but they are also great bug catchers too. It is very relaxing to sit outside at the end of the day and watch them go about their business. I made a lot of mistakes when I first started raising chickens. I want to go through some of the mistakes that I made so that you don't have to suffer what my chickens and I did. It is too heartbreaking to lose chickens due to mistakes. I stopped by to see a friend of mine about 8 weeks ago and as I was standing in the hallway, I heard cheeping sounds. She proudly showed me her 6 new chicks. While I admit that they were very cute, I was worried about them. She and her son had gone to a local farm supply store and bought the chicks on a whim. 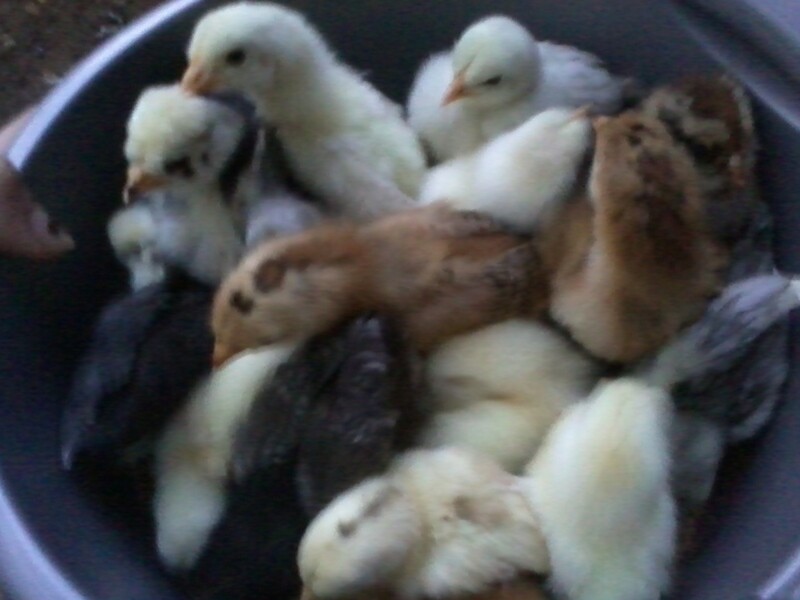 We have all seen the water troughs full of cute, fuzzy chicks before and it can be hard to resist bringing them home. But, she and her son bought six of the cuties and brought them home. They seemed to be doing ok and they assured me they were going to get a chicken coop. I stopped by to check on them a few days later and there were now twelve chicks and six ducklings, all running around in one water trough. She assured me again that she was on top of things and was going to order a chicken coop. Well, a few days later, they were down to eleven chicks as one had jumped into the feed bin and had died from heat stroke. The trough was not really large enough for so many babies and the food bin was under the heat lamp. A few weeks went by and the eleven chicks were still in the water trough, although the ducks were now in their own water trough. They seemed amazed at how fast they had all grown and how large they were getting. They still had not ordered the chicken coop and these poor babies were cooped up in very small living spaces. And, they were shocked at how expensive a chicken coop was going to be. 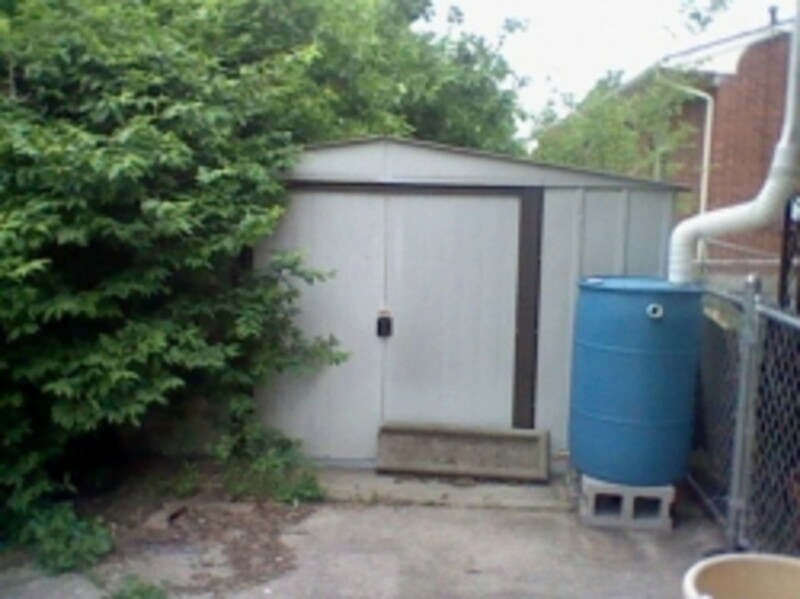 They considered finding a new home for them but in the end decided to buy a chicken coop. They were also worried about where to put the chicken coop. Their one dog is a problem and keeps trying to eat the chicks. There are also a large number of coyotes in the area that come up close to the house at night. Finally, when the chicks were 8 weeks old, the chickencoop arrived and I was excited. However, when I stopped by to see them, the chicken coop was only designed for six chickens, not eleven! They were all happily scurrying around outside for the first time ever and were having a ball. I don't know what will happen when there are eleven large bodies trying to fit into a space made for six. I also personally don't think the coop will withstand any attack from determined coyotes or dogs for that matter as it is just sitting on the ground and is not anchored. The moral of this story is that while the chicks in the store are cute, be really sure that you know what you are getting into. This story is not over by a long shot and there is no way to predict what whill happen. They are small and cute when they hatch but they turn into full sized chickens that need enough space to run around and roost. It is expensive initially to get started and there is just no shortcut around that fact. How Do Your Chickens Get Worms? Parasites in backyard chickens are very common. Believe it or not, it is very easy for a flock to become infested. Many new chicken keepers jump into this adventure and have no idea that they have to worm their birds regularly. How can your chickens get parasitic worms? If you buy birds from someone, it is possible that they may already be infested with parasitic worms even if there are no visible signs that they have worms. Wild birds can also be infested with parasitic worms. When they visit your backyard, they can then pass them onto your chickens. Earth worms can also carry parasitic worms and chickens love to eat worms. The infected chickens, wild birds or worms carrying the eggs pass them into the environment via eggs that are contained in their droppings. Then the worm eggs that are laying on the ground are picked up, eaten and then hatch into their adult form inside the bird that has just eaten them. It can be a never ending cycle of infestation. For the health of your birds, it is best to establish a regular deworing schedule and stick to it religiously. I tend to worm my girls and boys when they are molting. Egg production is down anyway and you can't eat the eggs for a period of time after you worm them. It is convenient for me and I have never had any problems. Many people start raising chickens to make money but there are several reasons to raise chickens. The most popular reason that people keep chickens for is to have a supply of fresh eggs. Freshly laid chicken eggs are the best tasting eggs you can find. For those who can raise chickens and eat them, there is no better source of fresh meat. 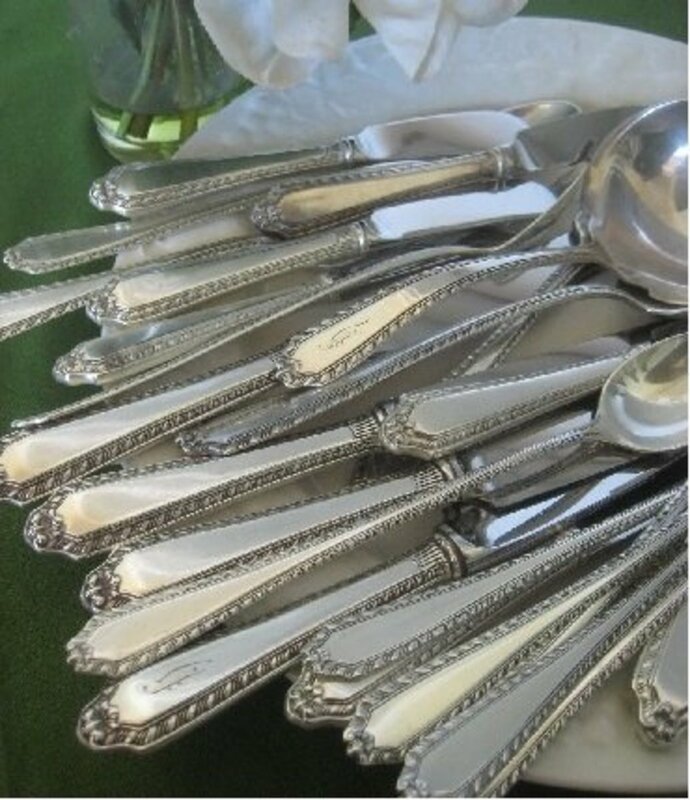 You know where it has been and you know what you are eating as you have been feeding your chickens yourself. Chickens are great for pest control because they will eat anything that moves. During the summer months, when you are trying to enjoy your backyard, it is FULL of blood sucking bugs. I also love to watch my hens run around the backyard chasing the bugs down. It is very entertaining to watch. Most kids have never seen a live chicken up close and personal. It is a great way for them to learn about animals and where their food comes from. Chickens are different from the other types of pets like dogs, cats, fish, etc. that most kids are raised with. Raising chickens allows them to see an animal that really contributes to the family from bug control, to fertilziing the yard to providing eggs for the family to use. Chickens can be a fun pet when raised right. My chickens run to us when we are in the back yard, they hang out with us when we sit out there and they allow us to hold them. While dogs and cats are great, there is nothing like walking into your yard and having a flock of chickens run to you. It is a great feeling and it's fun to watch. While there are people that raise chickens for money, the bottom line is that they are just a fun animal to have around. They also have the great benefit of providing eggs for you and your family to eat. You really can't go wrong with a flock of chickens in your back yard. A chicken tractor is a chicken coop and chicken run that can be moved. 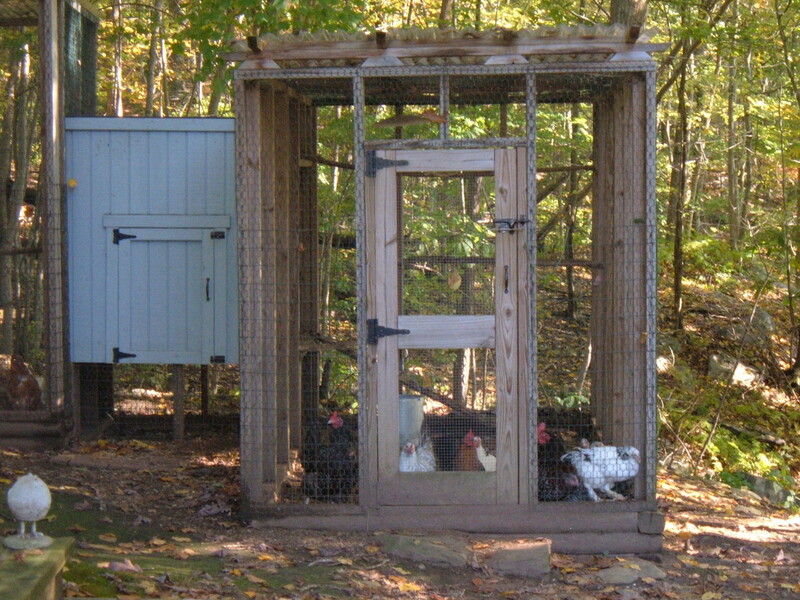 Having one of these is a great option if you have to keep your chicken flock confined all the time for whatever reason. They are free to run around in their little area but are contained and are protected from predators. The best chicken tractors are light weight and are not very large. Let's face it, if it is too hard to move, you won't move it around every day like you are supposed to. PVC piping is one popular material that is used to create the framework for a chicken tractor. You can purchase special fasteners so that you can assemble the framework and then attach chicken wire or mesh wire to it. You can buy one or build your own. Just remember, the lighter the better or you will not move it! When you decide that you would like to keep a flock of chickens, you will first need to decide why you want them. 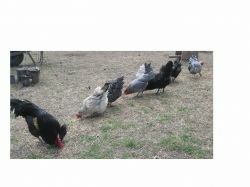 ** Do you want a breed of chicken that is friendly and likes to be handled? ** Are you only interested in a breed that lays a lot of eggs or is a great meat producer? ** Do you want only white eggs or would you prefer brown eggs or maybe a mix of colors. These are all very important questions to ask yourself BEFORE you ever buy a chicken because every chicken breed has its own unique set of characteristics that may or may not work for your needs. Find out more about picking the right chicken breed for your needs. 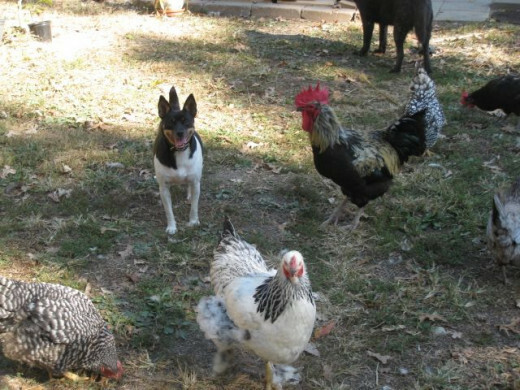 Some breeds are more aggressive than others and do better free ranging. Others lay a lot more eggs because they have been specially bred for this characteristic. There are even some beautiful, fancy breeds of chickens that are quite beautiful just to have in your flock. Raising Chickens - Should You Buy Chicks From A Chicken Hatchery? 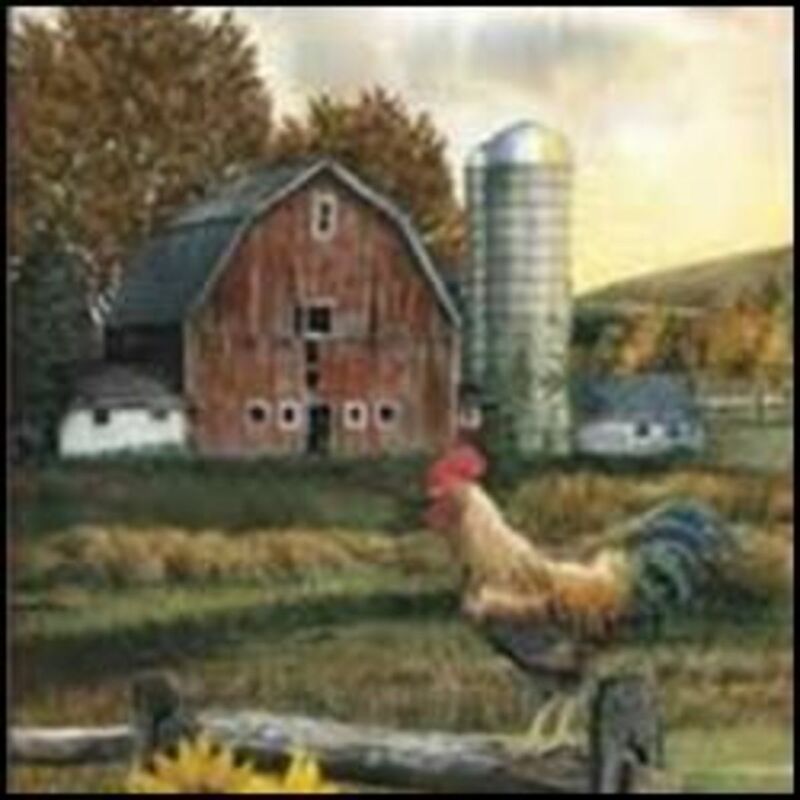 A chicken hatchery can be a great place to buy your chicks from. There are several advantages to buy chicks from a chicken hatchery. 1. Most guarantee a 98% to 99% accuracy when it comes to sexing chicks. This is very important because if you want to keeps chickens in your backyard for eggs, then you need hens. Rooster do not lay eggs and if you have too many rooster, you will have problems. For some reason, when I allow my hens to raise chicks, more of them seem to be roosters than hens. 3. Largest selection of breeds. You could probably get chicks locally very easily but you never know what breeds will be available. 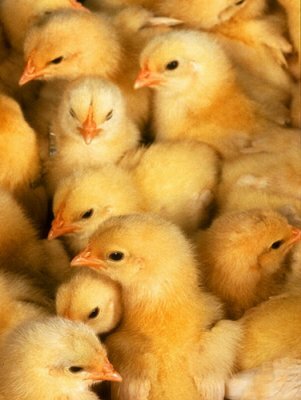 Ordering chicks ensures that you get the largest selection of chicken breeds possible. They will also be purebred birds. You will not get this assurance from a backyard breeder that has a lot of different breed hens and roosters running around. The biggest problem that I have when ordering from a chicken hatchery is that you usually have to buy a large number of birds and you may not need that many birds. Check around and see if any of your friends are interested in getting some chicks so you can split an order. Or you can even put up a flier at the local feed stores to try to round up some other people interested in getting just a few chicks. Overall, I have had very good luck when ordering chicks from a chicken hatchery. It is fast, convenient and affordable. Here are some tips for anyone considering raising chickens. 1. When you order your chicks, keep in touch with the hatchery so that you know roughly when they will ship out. 2 . Then notify your post office to let them know you have chicks coming and to call you. 3. Have your chick brooder set up and ready to go. Add food and water after the chicks arrive. 4 .If you are going to let your chickens free range, provide them will enough cover so they have a better chance of not being seen from above. I planted a lot of bushes and tall grasses so they could hide. 5. Do not use pesticides on your lawn. That was another mistake I made. I forgot all about my lawn care company until it was too late. 6. Make sure you don't have toxic plants in your yard because chances are good your chickens will find them and pick at them. 7. Provide a dust bath area for your birds so they don't end up digging up your whole yard. 8. If you change the feed your chickens eat, do it slowly or you will make them sick. Usually it is recommended that you make changes over the course of a week. 9. Be sure and wash your hands thoroughly after you handle your chickens or their eggs because bacteria and disease can be transferred through this contact. 9. Use pine shavings instead of straw in your nesting boxes. The straw can hold moisture which can allow bacteria to flourish and if your chickens eat the straw, it can lead to crop impaction. I decided to take the plunge and get into raising chickens a few years ago and I have never looked back. I love my chickens because they are so much fun to watch as they scurry around my back yard. But I had a steep learning curve because I had never even thought about raising chickens until a few years ago. I did everything wrong! I got a wild hair one day to get some chicks and that's what I did. I went online and ordered a catalogue from a well known company and waited impatiently for it to come. The day it came, I poured through the catalogue looking at all of the beautiful chickens and ordered 24 chicks that very night. I was so excited! I couldn't wait for them to arrive. I got a call one early Sunday morning from the post office saying that I had a box of chicks that had arrived. When I got there to pick them up, it turns out they had arrived on Friday and no one had called me! More than half of my poor babies died! I was so upset. Luckily I had found some information about building a small enclosure for them so I rushed home and put the remaining babies in the heated area. I ended up with only 9 of them living after the first eight weeks. They were so cute though! So, I decided to build my chicken coop and when the chicks were old enough, I put them in their new home. But I had never built a chicken coop before and I made a few mistakes. The biggest one being that I had built the coop in a very sunny area, with no shade and I had not properly ventilated the area. Needless to say, my poor chickens were miserable. So I had to go back to the drawing board. I ended up having to move my coop and doing some serious renovations. I had decided to let my chickens free range so they could help control the bugs and just be happy chickens. My back yard didn't have a lot of cover though and I ended up losing 5 of them to hawks very quickly. Although I grew up on a farm where my dad raised thousands of chickens, I learned a lot from your lens. Thanks for sharing the mistakes you made and what you learned to do to prevent them. I still remember the boxes of chicks being delivered early in the morning by the mailman. He would honk his horn and my dad would go out to his truck to get the boxes of chicks. How sad that the post office didn't call you the day the chicks arrived. How did they expect those baby chicks to survive with food and water for two days. I'm glad some of them survived. Lots to consider. Looking to get some egg layers my self. 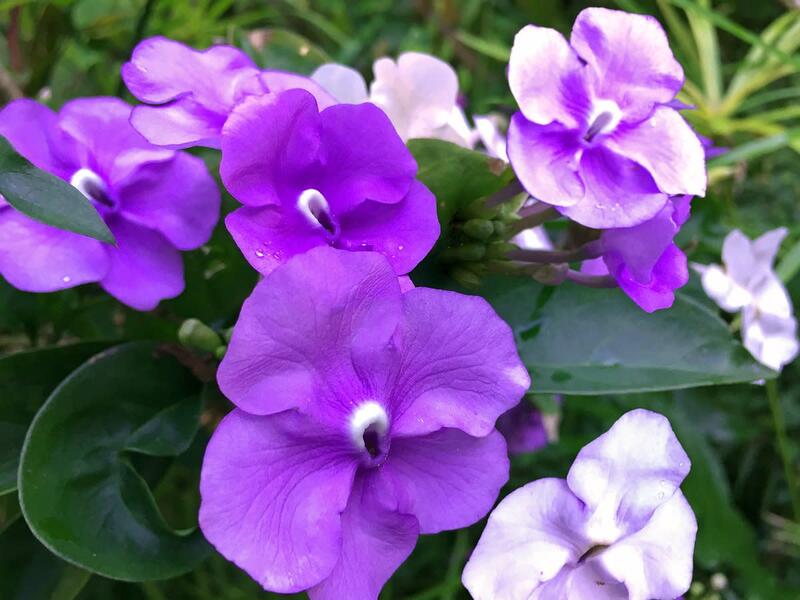 @BeadCatz: I am very lucky that my post office works with me too and I have always had good luck. Unfortunately, I was watching the news last week and at least one hatchery shipped chicks when it was over 100 degrees here in Louisville Ky. More than half of them arrived dead. It just makes me sick. Some great information. i always order from hatcheries because they have the breeds I look for. I love the heritage breeds and you can't easily find them locally. Some great tips for having your chicks shipped in. Especially about working with your post office. I know people that didn't and ended up with some dead chicks. I always have them hold at the post office, they call me and I go pick them up. Luckily, my post office works with me that way.